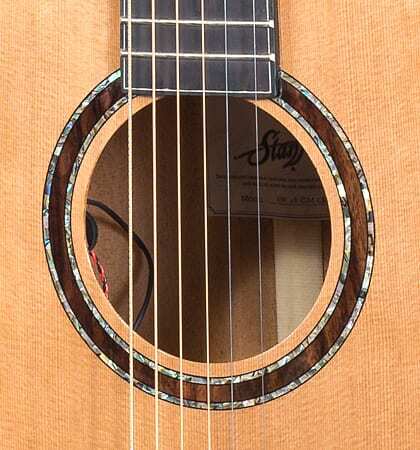 The Stanford Sidewalk with its highly comfortable fretboard width of 48mm is the ideal instrument for fingerstyle guitarists. 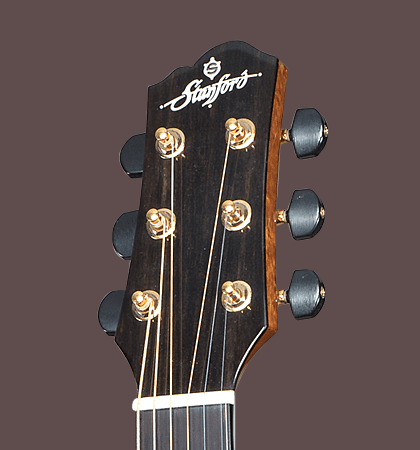 The string spacing offers high comfort in playing and enough space even for complicated fingerings. 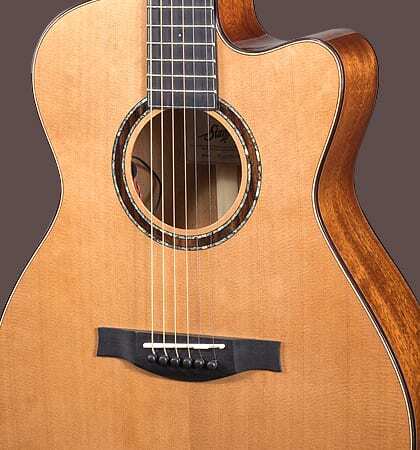 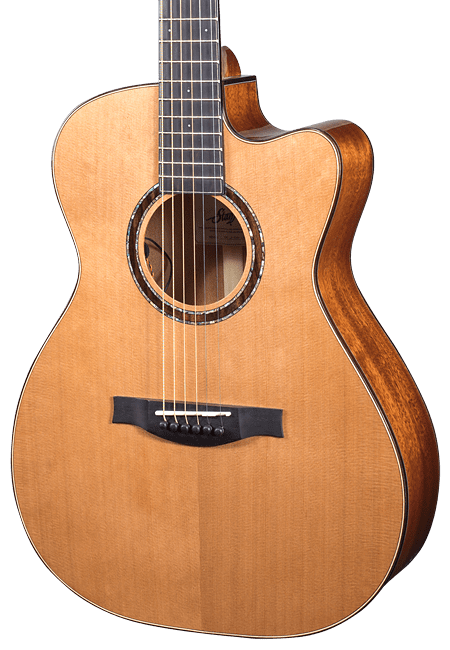 With its solid cedar top and mahogany ribs & bottom, the SW 48 OM CM ECW delivers a direct, dry sound, ideally suited for finger picking.